Do you have opinions on what is available for young people in Hackney? Do you want to get your voice heard? Then the Hackney Young Futures Commission needs you! You will work alongside other young people to make a change, advise services like Hackney Council and Young Hackney, all while you develop leadership skills and gain valuable experience you can use on your CV. 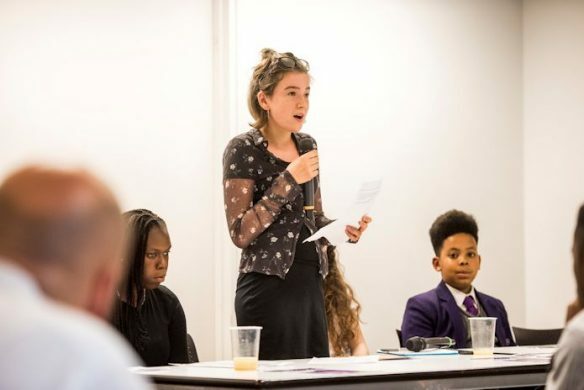 The Hackney Young Futures Commission will hear evidence over the course of a year about the lived experience of young people in Hackney, how they view the borough, what challenges they face, and how they feel about local services. Hackney Young Futures will be independent of the Council, but will be organised and accountable to it, and will be made up of young people themselves, community representatives, academic partners, those from the voluntary sector and councillors. The project will be supported by a major youth engagement exercise to get views from hundreds of local young people. Ahead of the project launch, Hackney Young Futures is looking to appoint commission chairs and members, with applications open until Monday 10 December. To chair the commission the Council is looking to appoint two young people who are Hackney based aged under 25. For commission members there are nine positions open, to people who live, work or study in Hackney. People with particular expertise in youth, education, employment, or the voluntary and community sector are encouraged to apply. There will also be a number of positions open to young people aged under 25. If you’re under 18, you will also need to get your parent, guardian or carer to complete a consent form [doc, 19.88KB].